With the US Immigration and Customs Enforcement (ICE) tripling its number of officers and quintupling the number of enforcement actions in 2018, employers need to be proactive and ensure that their Form I-9 practices are in compliance. Otherwise, employers can be exposed to audits, fines and/or criminal prosecutions, which could include prison time. 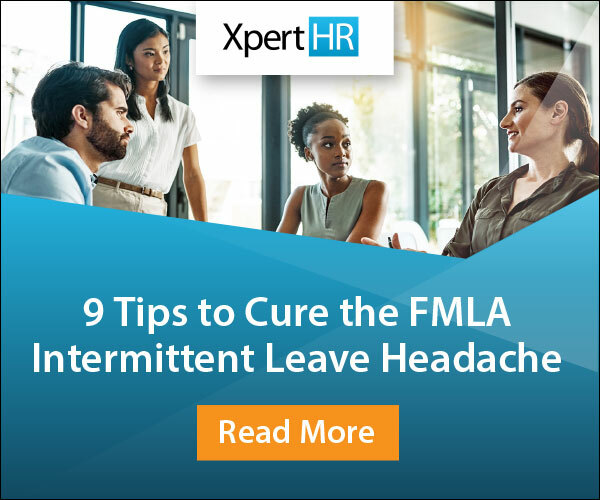 Thomas first stated that the two types of errors that employers make when completing the Form I-9 are technical (e.g., switching first and last names) and substantive (e.g., failing to sign the form). He stated that technical errors are “less bad” than substantive errors, and employers have 10 days to clean up or remediate these errors when they are uncovered by ICE. However, if an employer fails to correct them, technical errors can turn into substantive errors and are then fineable. Minimize the operational impact on an employer when it responds to a Notice of Suspect Documents stemming from an ICE audit. Further, if a company has kept copies of documents, they could work with outside counsel and use a phased approach in cleaning things up. However, employers that want to implement a copying policy cannot retroactively ask existing employees for their Form I-9 supporting documentation to make copies. This is because employers can get in trouble with the Immigrant and Employee Rights Section of the Department of Justice if they go too far in asking for documents they don’t necessarily need under the law. As a result, an employer can only make copies of documents going forward for new hires once a copying policy is implemented. Photos. An employer should be suspicious when a photo does not match an employee. Although people gain or lose weight and age, an employer needs to be sure that the document reasonably looks like the person presenting it. Cardstock. An employer should also watch out for cards printed on Department of Justice/Immigration and Naturalization Service (INS) cardstock after 2004. Do not accept INS cardstock from 2005 to present since they stopped making them. Misspellings. It would be very rare to run across a document that has an agency name misspelled. The agency issuing the document should have its name spelled correctly. Varying font sizes and types. If an employer receives documentation with crazy fonts that seem incorrect or strange, the employer is probably right in being suspicious. However, be careful not to reject a document just because you have not seen that particular version before because that doesn’t mean it’s not real. Employers need to ensure that they are reviewing the original documents submitted by employees to establish their identities and work eligibility. They must be sitting across from the employer during the document review. However, what if an employer is hiring a remote employee? In those instances, an employer has a few options to ensure compliance with the Form I-9. One option is to designate an agent to complete the Form I-9 on behalf of the company. This should be someone in a semi-professional capacity, such as a lawyer, accountant, notary republic (subject to state law) or librarian. When the person completes the form on the behalf of the employer under “Title”, he or she should write “designated agent” and sign the form on behalf of the company. Employers also have software/electronic options. An employer can hire an electronic vendor that has a “brick and mortar” location to serve as a designated agent that employees can visit in person. Finally, a more costly option is to have a vendor contact and meet the employee at a public setting, such as a Starbucks. The employee can then produce documentation, and the vendor will complete the From I-9 electronically and upload it into the employer’s system automatically. When an employer receives a mismatch letter from the Social Security Administration. An employer cannot disregard these red flags. 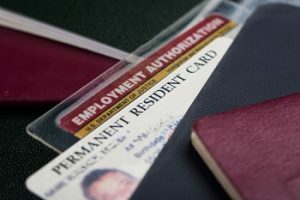 Otherwise, if an employer knowingly continues to employ an individual that is not authorized to work in the US, the employer could face five years in prison. In addition, an employer could be exposed to civil penalties for the knowing employment of illegal aliens. E-Verify use is voluntary unless required under state law or if the Executive Order for federal contracts applies. E-Verify creates a rebuttable presumption that the employer has hired a legal workforce. According to Thomas, it is a great way to start a Form I-9 audit. Thomas warned, however, that this is not a safe harbor and if a company is using E-Verify, it needs to make sure it is using it correctly. Government agencies have uncovered irregularities by employers if they are not using E-Verify properly. Maintain clear copies of verification documents. How does your organization address immigration compliance? Let us know by leaving a comment below.